Last year, Jack Landgraf used his home invitational as his announcement that he was ready to compete on a statewide level. Who will be the breakout star in 2016? 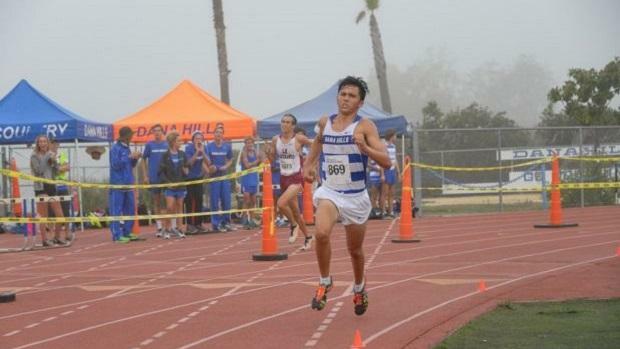 MileSplitCA will be on-site at the Dana Hills Invitational on Saturday with both photo and video coverage, and it's shaping up to be quite an exciting meet! With 6 boys teams and 8 girls teams that are current in the top 25 of our Saucony Flo 50 rankings, not to mention several highly-ranked individuals, the competition should be fierce. The flat, fast course will certainly add some big times to the rankings, especially with the weather looking outstanding. To get an early start on scoping out the entries for the meet, check out the 6 virtual meets on the following slides!